The Hammar H20 is also used widely for Emergency Position Indicating Radio Beacons (EPIRB). 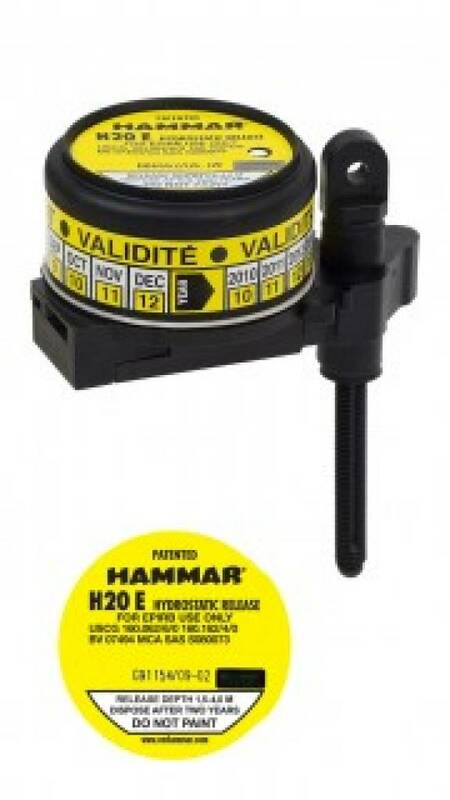 90% of the world's EPIRB manufacturers are using the Hammar H20 for the freefloat function. Should the vessel sink, the Hammar H20, which is activated by increasing water pressure, will automatically release the EPIRB. On reaching the surface the EPIRB starts to emit a signal of identification and position to a satellite. Instead of the rope sling a specially developed plastic bolt secures the radio beacon and will be cut when the unit is activated. Other methods of securing the beacon are also used, such as a rope or a strap. Important: Use only manufacturer approved replacement bolt (rod). The bolt should always be changed together with the release unit every two years. 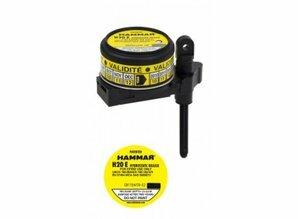 The Hammar H20 is made of glassfibre reinforced nylon, whic..